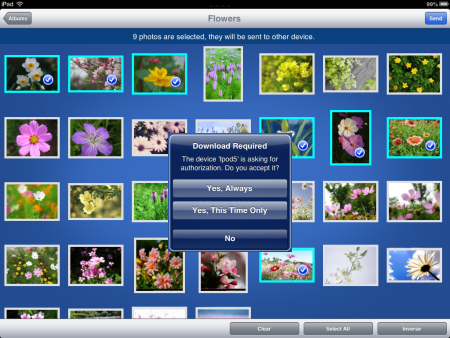 Without iTunes and USB cables, how to share photos between iPad mini and iPhone? 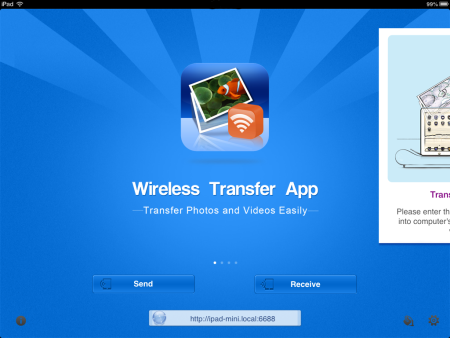 This guide will explain how to transfer photos from iPad mini to iPhone via Wi-Fi network. The iPhone WiFi Transfer plays the role of iTunes, and WiFi network plays the role of USB cable. 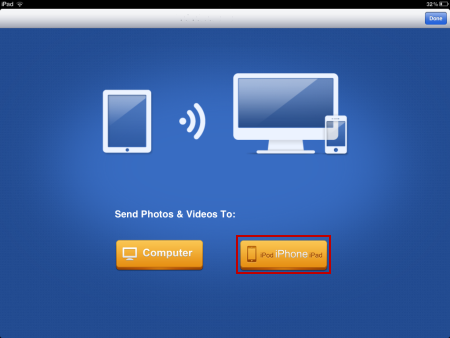 In order to transfer photos successfully, please connect the iPad mini and iPhone to the same Wi-Fi network. 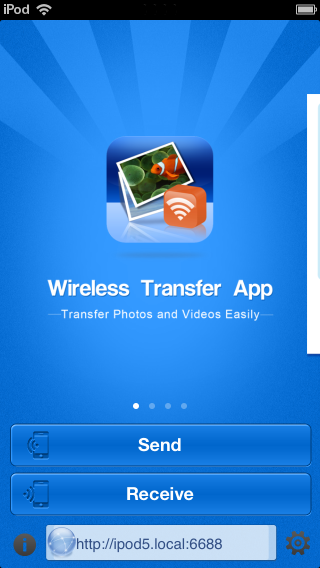 You need to download the iPhone WiFi Transfer on the App Store. Moreover, you just need to pay for once to download the app to both your iPad mini and iPhone. Step 1 Install and run iPhone WiFi Transfer on the iPad mini and iPhone. Tap the “Send” button on the iPad mini screen. 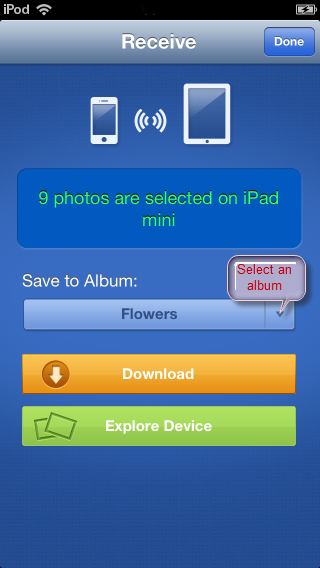 Step 2 Select the ‘Send Photos &Videos To: iPod iPhone iPad’. 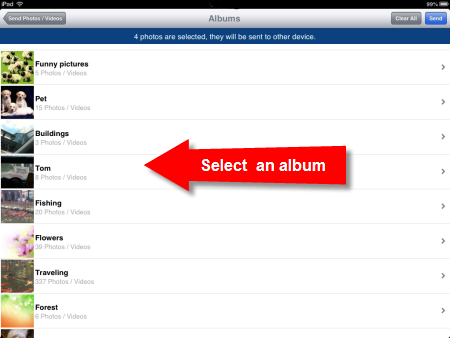 Step 3 Select an album to find the source photos to send to iPhone. Select photos one by one, or “Select All”. Step 4 Tap on “Receive” button on the iPhone screen. Step 6 Tap the Download button to save files on iPhone album. 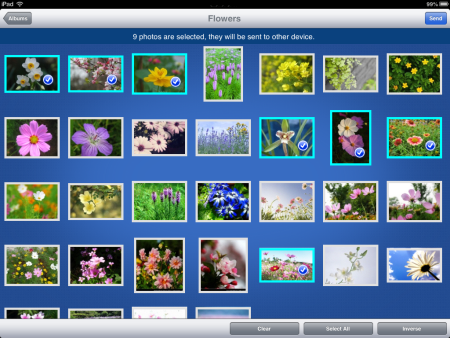 You can select an album or create one for the photos. You will get an authorization required dialogue on iPhone. 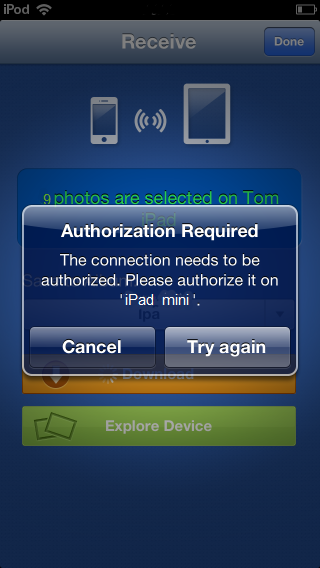 You will also get an authorization requirement on your iPad mini. Tap “Yes, Always” or “Yes, This Time Only” to continue the transferring. These photos will be transferred to iPhone immediately. Then you can locate them in the iPhone Photo Library.